Esplora il quartiere reso famoso dal film del 2008 "Slumdog Millionaire" con una guida residente per illuminare le sfide e le problematiche che i residenti devono affrontare. 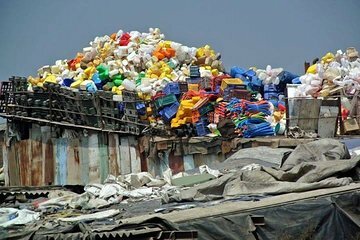 Cammina attraverso Dharavi e scopri come vivono i residenti, tra cui il riciclaggio della plastica, la produzione di sapone, la ceramica e altri metodi. Fermati dalle scuole e dalle chiese locali per avere un'idea della comunità mentre ascolti i commenti sensibili della tua guida. This was an interesting and comfortable tour exploring the various industries in the 3rd largest slum in the world. Pottery, paint cans, cardboard, leather...the list goes on for these industrious 1M people living in one square mile area. The guide, Nick, lives there and uses the funds from your tour for university tuition and, with his brother, Shaleish, has founded a company and they teach children computer skills after their regular school day. Well worth your time. I advise you have them meet you wherever you are for the transfers. Great tour! Very educational about the inner workings of the slum. Everyone we encountered was friendly and we had a wonderful day. Recommend wearing good solid walking shoes. This was a very informative visit. I did not have the feeling that I was invading anyone's privacy though of course I could be wrong!. My guide was easygoing and helpful. I would definitely recommend this to anyone visiting Mumbai. This is something totally different! Not your standard tour as it gets into the heart of the slum and the great people that live and work there. Defo recommended! This tour is a real eye opener. I expected poor beggars but was surprised to find an industrious neighborhood of hard working people. They are poor but have dignity and work hard. Not a single person asked me for a handout or accosted me in any way. All the kids were smiling and seemed happy. Our very well spoken tour guide took us on a quick paced tour where we saw the recycling business first hand as well as hide tanning and residential areas. It changes the way you think when you hear the word slum. This is a must see if you visit Mumbai. It was a really nice experience to see what was going on in the slum. Together with the good explanations of the guide made the tour totally worth it. The tour gives you insight into the slum community both working and residential. It is a full 2-3 hour walking tour through the small alleys of the slum. Our guide Samir, was very helpful and kind. Part of the tour proceeds go directly to school children from the Dharavi community. We would highly recommend this tour to any visitor in Mumbai. We really enjoyed this small group tour (2 people). It guides you through the small alleys of the slum across its commercial and residential part. Part of the tour proceeds go to the local school children in Dharavi. We would highly recommend this group tour to anyone who visits Mumbai and is curious about the work ethic and community of the city.